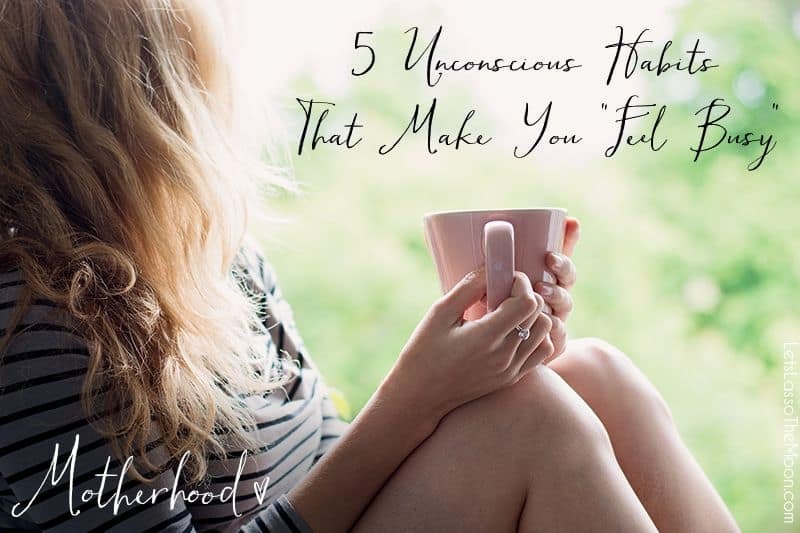 5 Unconscious Habits That Make You "Feel Busy"
Often, motherhood feels like a whirlwind of complete chaos. You love being a mom, but sometimes you’re awed by how very stressful it can feel. Below are five unconscious habits from the book Savoring Slow that can make you “feel busy,” even when you’re in control of your schedule. This post contains affiliate links. As moms, we often assume other people have it together, but the truth is we’re all fighting our own battles. My friend and I chatted a bit longer and as the conversation unfolded we both realized that, truthfully, our stress and busyness is self-inflicted. Think about your situation: Does it matter if your kids eat their broccoli at dinner? What will happen if the laundry doesn’t get done? Will your kid’s childhood be ruined if you don’t show up for that game? Perhaps you suffer from busyness, too. It’s a syndrome when you are constantly lacking time and wishing for more of it. Maybe you are constantly too tired to do what you want to do. Constantly feeling overwhelmed and not even sure why. Constantly maxed out on life’s stresses. But if you’re like me, you’ll find a way to defend your busy life. You need your busy life. You feel important and needed because you’re busy. There are many ways to slow time even in a busy life. Because I’m not here to tell you to stop your busy life. I’m here to inspire you to savor the life you have. Here are five unconscious habits covered in the book that might make you feel like you’re constantly maxed out on life’s stresses (p. 2-3). 1. We think too much. We over-analyze situations. We read into people’s thoughts and behaviors. We focus on our faults —and others’ faults. We spend countless hours on matters we cannot change. 2. We worry too much. We put too much energy and time into things like what our child is wearing, eating, not eating, saying, not saying. We put too much time into who is doing what, who hasn’t done what and what needs to be done next. 3. We’re too focused on others. What is he thinking? Why is she crying? When will she finally walk/talk/be potty trained? Why is he miserable? When will he help me more? 4. We plan too much. We’re very, very busy striving for perfection so we can snap a picture of it and put it on Facebook. The perfect meal. The perfect craft. The perfect living room arrangement and decor. The perfect outfit. Just what are we going to do that is so amazing today? 5. We try to do too much. If we could just do the laundry, finish that project, walk the dog, play a game with the kids, make dinner, read the library book that’s overdue and take an hour to work out this morning we’d be just fine. Really. Were you nodding your head as you read through the list? All of this mental work our brains are doing all day — thinking about everyone else — is actually eating up our time and it’s depleting our energy. All that mental work is also more likely to make you feel things like guilt, shame, doubt, anger and fear — none of which make for a happy, healthy and slow day. Will you join me in reading this book? 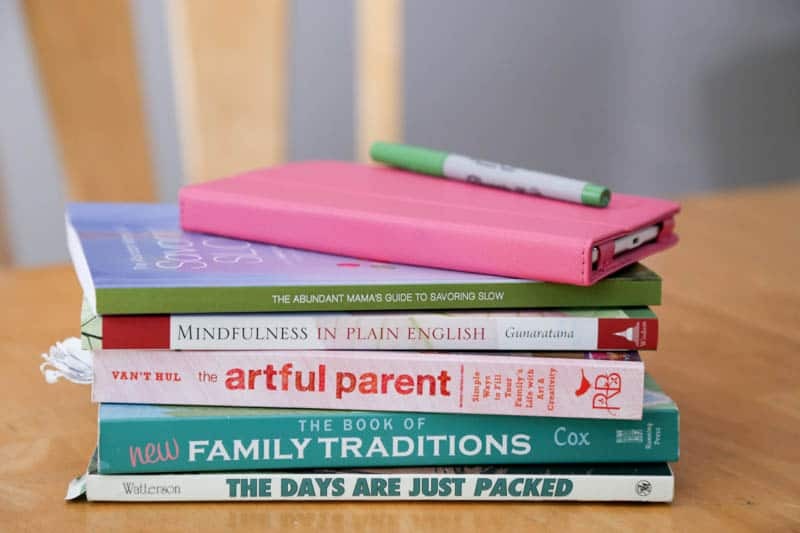 The chapters are broken down into 12 feel-good habits that you can use to live — and enjoy — a slower, more intentional, family life. Each section delves into one Savoring Slow habit so you can work on that habit all month. What I am enjoying most about Savoring Slow is the simple everyday suggestions that we can do at home. I am constantly leaving my home searching for stress solutions: going to the studio for yoga, heading to the park to take a hike, going on vacation to relax. These are all wonderful solutions, but you … strike that, WE deserve to have peace and happiness in our homes. 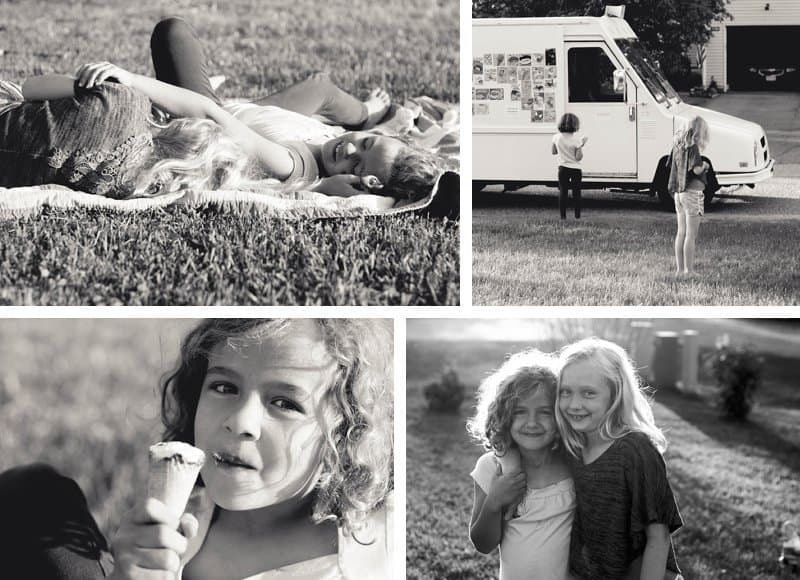 PS: May you have a slow summer filled with pockets of nothing… like waiting for the ice-cream truck with the people you love most in the world. 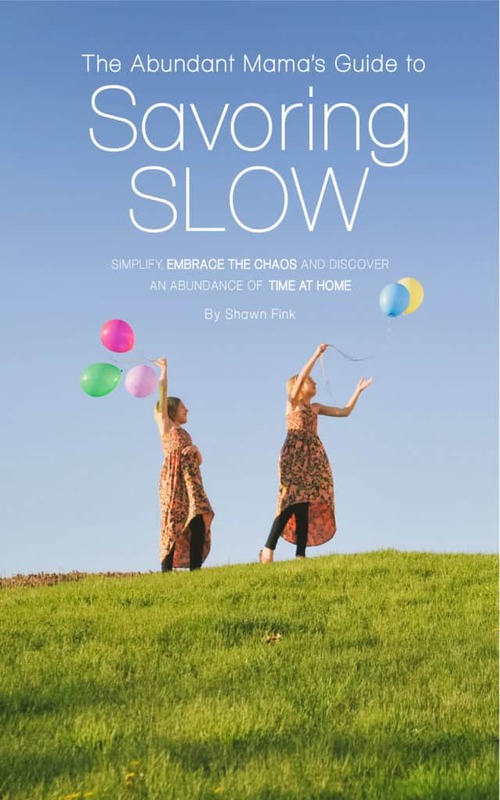 The quotes and list above are fromThe Abundant Mama’s Guide to Savoring Slow, © 2015 by Shawn Fink. I often find as a mother that we are expected to be busy and stressed. No one wants to hear from a mum that is relaxed and enjoying life. It feels almost like a competition to be the busiest and the most stressed.